This year, I am hoping to persuade you to make a quilt. Each month, on the second Monday of the month, I am sharing a step-by step pattern for a twelve-inch block. In case you missed it, January’s block is here. In the same post, you can see information about basic equipment for quilt-making. You don’t need a whole lot to get started! 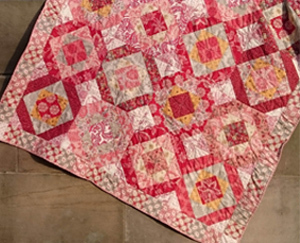 This is a nice, easy way to build up to a complete quilt, one block at a time. So without more ado, here is the link for February’s block. The block looks like this. Do get in touch with the contact form below and let me know if you are making a quilt. I look forward to hearing from you. 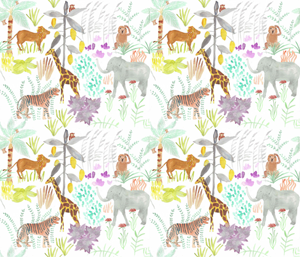 In other news, my newest cot quilt pattern called ‘This is my world’ has been finalised. It is now in my Etsy shop. You can find it here. If you would like to receive my special monthly newsletter, complete with colour inspiration, design inspiration and a free tutorial, please complete the pop-up form. Baby bibs from recycled fabric!